You might be curious to learn that the United States Postal Service has decided to invest its dwindling resources into having a local employee page through the Journal every week. This came to our attention over the past week, when we received a few calls from the local post office warning us that the postal service has determined it's a violation of the federal Controlled Substances Act to mail materials that contain medical marijuana advertising. The Journal obviously includes such advertisements, which are completely legal in California and 22 other states. And we offer subscriptions by mail, which apparently puts us afoul of federal regulations. While newspapers and magazines across the country have for decades included such advertisements and circulated them by mail (High Times, anyone? ), this particular stance from our postal service is a new one. It apparently cropped up in November, when Portland's postal district sent a memo to newspaper publishers in the area warning them they were breaking federal law by running ads for pot shops. The Oregon congressional delegation raised a fuss, pressing top postal service officials for an explanation. 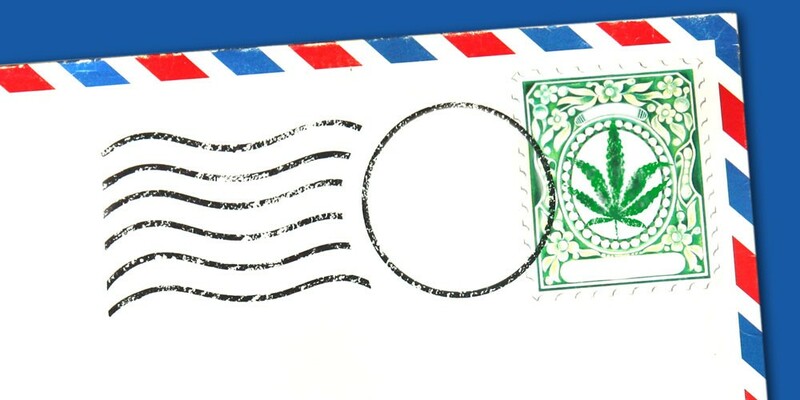 USPS General Counsel and Executive Vice President Thomas Marshall responded, saying officials had deemed advertisements for the sale of marijuana to be "non-mailable" under the Controlled Substances Act. The stance hadn't been formalized, Marshall explained, but is now a national policy and will remain such unless Congress directs otherwise. Based on the phone calls we received last week, it appears the policy is now being implemented throughout the country. The catch is that the postal service itself doesn't have the authority to stop people from mailing such ads, so the policy directs local postmasters to refer violators to the U.S. Postal Inspection Service, the agency's law enforcement arm, which could then refer offenders to the U.S. Attorney's Office for potential prosecution. Now, some of you might be wondering if this constitutes a federal infringement on First Amendment rights, so let's get that out of the way. Federal law treats different speech differently. In this case, commercial speech — advertising — is afforded less protection than, say, political speech, which is nearly unassailable. The U.S. Supreme Court case Central Hudson Gas & Electric Corp. V. Public Service Commission of New York used a four-prong test to determine whether the government can regulate commercial speech. The first prong of the test: "Does the advertisement involve unlawful activity?" There's no question it does in our case, through a federal lens, anyway. But what came out through discussions of that move is the USPS has some real problems: a growing and unfunded retirement liability, an outdated fleet and increased competition from the online world and private shipping companies. Plainly, it seems an odd time to start a fight nobody was asking for. North Coast Congressman Jared Huffman said he wishes the postal service had considered a more "complete view" of the situation and taken into account the U.S. Department of Justice's softening stance on state medical marijuana laws and Congress' directing federal agencies not to enforce federal marijuana laws where there's a state law that's being complied with. "I don't think the postal service has a lot of resources to spare and, frankly, getting involved in this matter that's in compliance with state law seems just like a waste of time and resources," Huffman said, adding that he imagines if a prosecution of the issue ever made it to a federal court, it wouldn't result in a conviction and common sense would prevail. Huffman said he plans to co-sponsor legislation that Oregon Congressman Earl Blumenauer is crafting to clear this up and tell the USPS to stand down on the issue. The problem, Huffman said, is "Congress isn't very good at getting things done, so there's no telling how long this will take." In the meantime, Huffman said he plans to reach out to the U.S. Attorney's Office to see if it can help squash the issue. So, to recap, while struggling to remain fiscally solvent, the postal service has created a policy that will sap its resources and threaten the bottom lines of law-abiding businesses throughout the country, demanding the attention of Congress, taking time and political will away from very real issues, ranging from domestic terrorism and gun control to criminal justice reform and climate change. It's situations like these that might explain why Americans identified "government" as the top problem facing the United States in a recent Gallup poll. Here at the Journal, we've decided to keep doing what we're doing. If the U.S. Attorney's Office decides to come after us, we'll let you know and fight that battle when it needs fighting. In the meantime, thanks for reading, USPS! If you have any comments on our content, you can address them to letters@northcoastjournal.com.